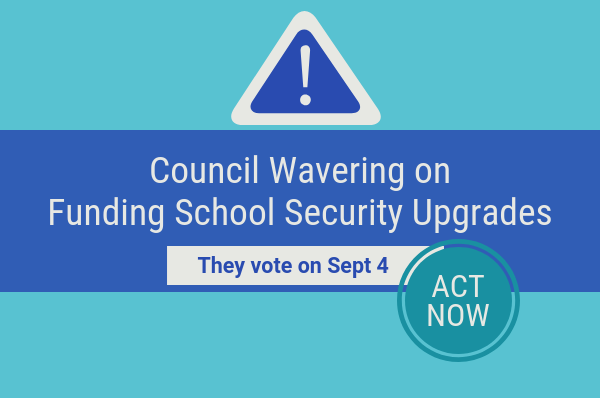 Tomorrow night (9/4/18) the Cecil County Council has its first real opportunity to demonstrate its commitment to school security–and at least one council member thinks the county can’t afford the project. In August, Cecil County Executive Alan McCarthy recommended that the county invest up to $1.0 million to bring the entrances at some county schools up to current security standards. The funding for the project would come from money the county had previously held in reserve pending the outcome of a court case. The council must now approve the expenditure in a vote that is expected at tomorrow night’s council meeting. Your fund balance or our fund balance? As I’ve written previously, fund balance is the money remaining in the operating budget after all other expenses have been met (apologies to anyone with a background in accounting for my oversimplification). Cecil County and Cecil County Public Schools each have their own fund balances and policies regarding the levels that should be held in reserve. CCPS, for example, was forced to use its fund balance in several prior years to offset reductions in county funding and has planned to use a portion of its fund balance to fund its FY19 operating budget because the county did not fully cover the CCPS budget request. Despite these expenditures, CCPS managed to rebuild its fund balance to a level that exceeds the minimum requirement of the board of education’s policy and in February they went to the county council for approval to use part of that additional money to complete several long overdue projects including the first four secure entrance upgrades, new security cameras in the county’s high schools, a new phone system, and a field house at Perryville High School (*hold your applause on the field house for now because that project appears to be very much on the bubble*). With some consternation, the council approved the request. Remember, all of these projects are the responsibility of Cecil County and funding for such projects is normally accomplished via the annual capital budget process. The county’s “waning” fund balance? The county’s fund balance is “waning?” It’s not sand eroding from the beach–if the county’s fund balance is lower than some would prefer it’s because the money has been s-p-e-n-t.
You might ask–how has Cecil County been spending its fund balance?–that’s the subject of another article so stay tuned. The vote is tomorrow night so time is running out!